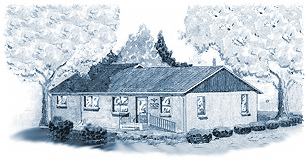 A Family Practice since 1956. We treat you the way you want to be treated. Welcome to Lakewood Family Dentistry. If you're looking for personal and quality dental care from a Family Dentist, you've come to the right place! The dentists at Lakewood Family Dentistry offer a full range of affordable dentistry services including; teeth whitening, cosmetic dentistry, dental implants, veneers, dentures, restorations such as simple filling to crowns and bridges, emergency dentistry and much more! Our professional dental team wants you and your family to enjoy a lifetime of healthy, beautiful smiles! Lakewood Family Dentistry provides our patients with outstanding general dentistry services. We are here for your professional cleanings, x-rays and general dental needs. We can supply your family with mouth guards and night guards or protect your children’s teeth with dental sealants. Our dental team broadens your level of care by providing oral cancer screenings with each examination at the cleaning/ recall visits. Our goal is to protect your teeth and your overall oral health. Our dentists and hygienists will recommend how often to have routine professional cleanings and checkups. Most patients should see us for a professional cleaning once or twice a year. During your appointment, our dental hygienist will perform your professional cleaning by removing plaque and tartar deposits from your teeth and help you by providing information on home care. We will examine your teeth and gums for signs of tooth decay, gum disease, and other health problems. Lakewood Family Dentistry likes to keep current x-rays of your teeth to better monitor the condition of your teeth and bones in an attempt to reduce the chances of future problems. Our comprehensive exams utilize dental x-rays that are taken with a protective shield with a thyroid collar. We will meticuluously examine each tooth, your soft tissue and gum condition and provide you with an assessment of your dental condition along with options of treatment available in our office. Dental sealants are usually placed on the chewing (occlusal) surface of the permanent back molars and premolars, to help protect them from tooth decay. A dental sealant is a white, plastic material. The sealant bonds into the depressions and grooves (pits and fissures) of teeth and protects them from tooth decay. Mouth guards not only protect your teeth from harm but they also protect your lips, tongue and cheeks. Under Armour cites an additional advantage of wearing their mouth guards is that it will reduce jaw clenching which is common during intense competition. Some studies have found up to 17% increase in performance with the use of a mouthguard. Night Guards protect your teeth as they provide an even and smooth surface for the opposing teeth to rest against reducing movement and eliminating tooth on tooth grinding. Night guards are constructed of acrylic and are created from a dental impression during a visit with our dentist. Read more about mouth guards and night guards here. Oral Cancer is defined as the uncontrollable growth of cells that invade and cause damage to surrounding tissue. Oral cancer appears as a growth or sore in the mouth that does not go away. Oral cancer includes cancers of the lips, tongue, cheeks, floor of the mouth, hard and soft palate, sinuses, and throat. One of the many benefits of annual to semi-annual dental care is the oral cancer screening performed by your caring Lakewood Family Dentist. Early detection of periodontal disease can save your smile; early detection through oral cancer screening can save your life. For any other questions regarding our general dentistry services, please contact us or call us at (303) 237-4831. There is nothing more unnatural than trying to hold back a smile because we don’t want anyone to notice our stained or discolored teeth. Wouldn’t you like to boost your personal image and confidence that comes with brighter, whiter teeth? There are several teeth whitening options available that can remove or reduce the signs of brown and yellow staining. Procedures are available through our Cosmetic Dentistry. Lakewood Family Dentistry has been successfully providing teeth whitening procedures for their patients for more than 20 years. Our Dental Team can explain the pros and cons of each treatment available and determine the best teeth whitening alternative for you based on your personal dental condition. Why do our teeth become stained? Many of us crave that cup of coffee or tea in the morning. Hot liquids can be particularly hazardous to your white smile because they change the temperature of your teeth causing your teeth to expand allowing stains from the dark beverages to enter your teeth. Slightly acidic foods can also open up the pores of your tooth enamel allowing stains to more easily penetrate your teeth. Lastly, Smoking can negatively affect the health of our gums and the color of our teeth. Obviously one solution to improving your smile is to eliminate these bad habits but we all know that can feel like an insurmountable task. Fortunately there have been major advances in teeth whitening products and techniques. Home whitening products can be beneficial for mild staining or to maintain the shade of whitened teeth after a dental procedure. However, if you use home teeth whitening products incorrectly they can harm your tooth enamel and irritate your gum tissue. Home bleaching kits can also produce uneven results and excessive use can create an unnatural bluish hue. Professional dental supervision by can help avoid these mistakes. Dental office teeth whitening techniques and products have greatly evolved. Whitening teeth is one of the most common dental services performed today. Fairly high concentrations of bleaching agents are applied under carefully monitored, safe conditions. In-office teeth whitening treatments are often immediately visible. One of the most popular whitening products available to dentists today is a take-home whitening solution applied with custom trays. At Lakewood Family Dentistry, we are committed to providing our patients with the safest and most effective teeth whitening procedures available today. We have served our patients and our community for over 20 years. Let us care for you and your family’s smiles, contact us today to schedule an appointment (303) 237-4831. Call Lakewood Family Dentistry at (303) 237-4831. If you have been in an accident or experienced injury to your teeth, mouth or jaw, please contact us for emergency dentistry services. Delaying treatment for a dental emergency may only increase the risk of permanent damage resulting in more extensive and costly restorative dental treatments. If you are suffering from pain our dentists can help. Whether you have lost a filling, broken a tooth, or are looking for remedy to severe tooth pain, don’t put off emergency dentistry treatment. Pain is your body’s signal that something is wrong. It also means it’s time to seek help for something you might have been postponing. Not sure if your problem is a dental emergency? Below is a list of various dental emergencies and steps you can take to reduce the discomfort. Tooth impact and loss – Carefully rinse your tooth without removing any attached tissue. If possible, hold the tooth in place in the socket, or else place the tooth in milk and seek our emergency dental services immediately. Fractured/Broken Tooth — Save any pieces of the broken tooth and rinse your mouth out with warm water. Contact our office to determine treatment options. Dental Abscess — If you find a pimple formation or swelling on your gums, rinse with salt water and immediately contact our dental team. Abscesses can lead to more serious infections if not treated promptly. Toothache — Rinse your mouth out with warm water. Next, use dental floss to make sure there isn’t any food or other debris causing the pain. If the tooth pain persists, call our office. Maintaining good oral hygiene is essential to preventing numerous dental emergencies. Practice normal brushing and flossing, avoid chewing hard items like ice, fingernails or candy. If you play sports, wear a protective mouth guard to reduce the risk of excessive force or trauma to your smile. If you think you have a dental emergency that needs immediate attention, call Lakewood Family Dentistry now at (303) 237-4831. Are you missing one or more teeth and want a permanent replacement solution? If you are considering a dental implant, Lakewood Family Dentistry is your resource for implant crowns. An implant crown is a tooth-shaped “cap” that is placed over a dental implant or post. The implant crown replicates the original tooth in shape, size, strength, and appearance. When the crown is adhered into place, it will fully encase the entire visible portion of the dental implant. What are dental implants and how do they work? Dental implants are an artificial root that is permanently secured to your jawbone or gum. Implant post or roots can be used to hold one or several teeth. Dental implants can be used in place of bridges and partial dentures. Dental implants are natural looking and can feel like your original tooth. Dental implants do not require surrounding teeth to hold them in place as is the case with dental bridges. Clearly dental implants are advantageous to the advancement of restorative dentistry in that they permanently solve the issues of aesthetics, chewing and speech. Additionally, dental implants can be superior to dental bridges in that the surrounding teeth do not have to be ground down or modified to make room for the bridge. Crowns can be manufactured from porcelain ceramic, resin, metal (gold and gold alloys), and porcelain fused to metal. We will discuss with you what will be the best option for you. Implant crowns do not require special care other than proper brushing and flossing to avoid decay and gum disease. Your new crown can potentially last for a lifetime depending on your personal hygiene habits and the wear and tear to your teeth. Avoid clenching or grinding your teeth, biting fingernails or chewing on hard items such as pencils or ice. Take advantage of the various options available today in cosmetic dentistry procedures and walk away with an amazing smile. Please contact us to schedule your personal implant crown consultation. Surgery services are provided by Lakewood Family Dentistry to care for our patients where the best option to correct a dental concern is dental or Oral Surgery. If you have teeth that were broken by trauma or damaged by decay, our dental team will try to repair or save your teeth through use of restorative dentistry such as fillings or crowns. If your teeth are damaged beyond repair, it may be necessary to extract those teeth. However, damaged teeth are not the only teeth requiring surgical extraction, the most common teeth extracted are wisdom teeth. The extraction of wisdom teeth may be required to make additional room in your mouth. Wisdom teeth may be extracted before the fully come into the mouth if the teeth are blocked by other teeth. Wisdom teeth generally enter your mouth during your late teens or early twenties. We work with excellent oral surgeons in the area that can take care of oral surgery needs that may require specialty care. To learn more about wisdom teeth extraction or for emergency dental services, contact our office. A root canal treatment may sometimes be required if a tooth has been painful or has an indication of decay extending too deep toward the nerve chamber inside the tooth. Dr. Long and Dr. Rold perform root canal treatments on many anterior and premolar teeth but refer patients to endodontists (root canal specialists) for root canal treatment of teeth that are molars or have higher difficulty levels. We feel that this referral is in the best interest of our patients. If you have lost some or all of your teeth due to gum disease, decay or accidental impact, dentures can dramatically improve your smile. A denture is a removable replacement for missing teeth and surrounding tissues. Our Lakewood Family Dentists may suggest full dentures or partial dentures, depending on how many natural teeth you have lost and the condition of your existing teeth. Partial dentures are utilized when one or more of your natural teeth remain. Partial dentures can be used in both your upper and lower jaw. Partial dentures benefit you by filling in the gaps caused by the missing teeth and by securing your existing teeth to reduce future movement. A partial denture is removable and can be manufactured with a pink or gum colored plastic base to better blend with your own gum tissue. Partial dentures are connected by a metal framework or an internal attachment that secures the denture in place in your mouth. If you are missing a tooth or two and would like to make your smile whole again, let our Lakewood Family Dentist provide the best dental solution to meet your health needs and your budget. Complete (full) dentures become necessary due to the loss of numerous teeth on the upper or lower jaw. The loss can result from periodontal gum disease or tooth decay caused by genetics or a lack of personal dental care. Poor oral health can also be attributed to nicotine and drug addictions. Our Dentist assessment of your existing oral health will determine if any of your remaining teeth can be saved or if it will be necessary to surgically extract those teeth to prepare your gums for full dentures. At first, your new partial denture may feel unnatural and cumbersome; in time your mouth will become accustomed to wearing it. Removing and installing the apparatus will also take some time and practice. Do not force the partial denture into place as this can damage or bend the attachment clasp. Our Dentist may advise you to wear the partial denture continuously in order to identify any discomfort and necessary adjustments. Once the partial denture is properly adjusted and fitted, you will be able to remove the prosthetic while sleeping. Your full dentures may initially feel uncomfortable until your gums, tongue, and cheek have become accustomed to the prosthetic and learned to keep them secure. Minor irritation can occur and saliva flow may increase when you first begin wearing your dentures, but these problems will diminish as your mouth becomes accustomed to your denture. When you first receive your dentures it may be necessary to wear them continuously throughout the day to determine if any adjustments are required as indicated by discomfort or soreness. Once alterations are made, you should remove your dentures before going to bed. 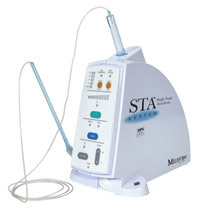 This allows gum tissues to rest and allows normal stimulation and cleansing by the tongue and saliva. The denture can be placed back into your mouth in the morning. As with your natural teeth, it is important to brush and maintain the condition of your Partial Denture or full Denture set. A regular soft-bristled toothbrush is advisable as hard bristles can damage the denture. Our dental team will recommend a safe, non-abrasive cleaner and provide directions for proper care of you partial denture. Even with the vast array of restorative dental procedures available today, nothing can permanently replace your natural teeth. Lakewood Family Dentistry encourages everyone to maintain routine General Dentistry comprehensive exams and professional cleanings as they are vital to a healthy smile. Are your teeth chipped, stained or gapped? Is the enamel on your teeth badly worn or are your teeth not properly aligned? Lakewood Family Dentistry provides excellence in cosmetic dentistry and smile enhancement through the application of porcelain veneers. Porcelain veneers are thin porcelain shells that are bonded to the front of teeth. Porcelain veneers are extensively used to correct orthodontic and cosmetic issues with your teeth. Porcelain veneers, also known as dental veneers or laminates, are a thin shell designed to cover the front of your tooth and made to resemble the natural enamel striation of your teeth. These thin shells are adhered to your tooth and can improve the appearance of your tooth through changes in its color, size, length or shape. Porcelain dental veneers typically require multiple consultations and appointments with our dental team. The number of visits directly correlates with the severity of your dental problems. Single or multiple teeth can be prepared and receive porcelain veneers simultaneously. Your first step requires a consultation with Dr. Long or Dr. Rold. During that appointment your teeth will be examined and options to correct your dental problems will be discussed. If Porcelain veneers are a viable alternative then x-rays and impressions of your mouth and problem teeth will be completed. Your second step requires preparing your teeth to accept the custom designed veneer. Approximately ½ mm of your tooth’s enamel will be removed from the surface of the tooth in order to offset the thickness of the new porcelain veneer. During the enamel removal, our Dentist will decide if there is a need for a local anesthetic to numb the area and the any anesthetic will be discussed and explained with you during your initial consultation. After the enamel removal, your dentist will create the final impression for your subsequent office visit. It typically takes 1 to 2 weeks for you custom porcelain veneers to be created and received by our office. If the amount of removed enamel is excessive, temporary dental veneers can be applied for an additional cost. Your final step is the permanent bonding of the veneers to your teeth. As the porcelain veneer is being installed, our Dentist will dry fit the veneer and fine tune the shape of the veneer creating the most natural and best fitting results. Your existing tooth will be carefully cleaned and etched so as to create a better surface to attach the veneer and optimize bonding. After the application of the porcelain veneer, a specialized light is shown onto the veneer to activate the bonding process of the agent. Finally, you teeth are cleaned and excess adhesive is removed. Porcelain veneers are an excellent middle of the road alternative to braces or crowns. Take advantage of the various options available today in cosmetic dentistry procedures and walk away with an amazing smile. Please contact Lakewood Family Dentistry to schedule your personal dental consultation at: (303) 237-4831. Most people who have had a bad experience with injections think that needles sting because the skin is pierced, but this is usually not so! Most often, the sting was caused because the anesthetic was injected in too quickly. Obviously, it is possible for the dentist to control the speed with a standard syringe, but the idea of the Wand is to take out the “human error”. This can be very reassuring for people with previous bad experiences. Are you a sports enthusiast involved in contact sports and want to protect your teeth from damage? Is your lifestyle more serene but you constantly grind your teeth in your sleep? Your teeth can be damaged due to a sudden impact or by slowly grinding them down. The best way to protect your teeth from sports related impact is by wearing a custom fitted mouth guard. For those of you who grind away your stress during sleep, form fitted night guards will protect your teeth from each other. Lakewood Family Dentistry is one of a limited number of offices licensed to provide the custom shaped mouth protection produced by Under Armour. Mouth guards not only protect your teeth from harm but they also protect your lips, tongue and cheeks. Under Armour cites an additional advantage of wearing their mouth guards is that it will reduce jaw clenching which is common during intense competition. Clenching releases cortisol which can diminish concentration and endurance. The best mouth guards are custom fitted and are made of soft durable plastics. Mouth guards should be worn during contact sports like football and hockey or while skateboarding and snowboarding where there is a high risk of impact from a fall or wipeout. Protect your teeth during sports activities and your teeth will thank you. If you have suffered impact and tooth damage as a result of a sports or impact related activity, contact us for emergency dentistry care. For those of you who grind away your stress during sleep, form fitted night guards will protect your teeth from each other. Lakewood Family Dentistry is one of a limited number of offices licensed by Under Armour to make their custom shaped night guards. When teeth grinding, bruxism, occurs during our sleep we are often unaware of it. Frequently, you learn of your teeth grinding sessions from a family member or because the grinding has created health problems. Grinding wears on your tooth’s enamel and can make those teeth sensitive to hot and cold foods and liquids. Grinding can also make your jaw sore and may lead to temporomandibular joint disorder or TMJD. If you have experienced TMJD, you know that is very uncomfortable. Your jaw will click or lock as you open your mouth. If TMJD worsens it may or may not be treatable through surgery. Night Guards protect your teeth as they provide an even and smooth surface for the opposing teeth to rest against reducing movement and eliminating tooth on tooth grinding. 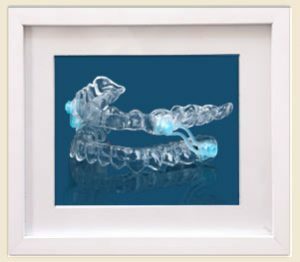 Night guards are constructed of acrylic and are created from a dental impression during a visit with our dentist. Whether your teeth are exposed to elbows, pavement or other teeth, mouth guards and night guards can protect your smile from damage. Botox is a prescription medication that is injected into muscles and used to temporarily improve the look of both moderate to severe crow’s feet lines and frown lines between the eyebrows in adults and for smoothing wrinkles in the forehead. Botox is also used in a therapeutic method and can be effective to help with muscle pain related to clenching or grinding the jaws and teeth. Dermal fillers are injectable materials that temporarily fill in hollows, lines and wrinkles. The lips can also be made more prominent. Most treatments of Botox or dermal fillers last for about 3-4 months. Dr. Long is credentialed by the American Academy of Facial Esthetics for the administration of Botox and Dermal Fillers. During sleep, muscles and soft tissues in the throat and mouth relax, shrinking the airway. This increases the velocity of airflow during breathing. As the velocity of required air is increased, soft tissues like the soft palate and uvula vibrate. The vibrations of these tissues result in “noisy breathing” or snoring. For the majority of snorers, the most affordable, non-invasive, comfortable, effective snoring solution remains a dentist-prescribed snoring preventative device such as Silent Nite®. Silent Nite is a custom-fabricated dental device that moves the lower jaw into a forward position, increasing space in the airway tube and reducing air velocity and soft tissue vibration. Special connectors are attached to transparent flexible upper and lower splints. The splints are custom-laminated with heat and pressure to the dentist’s model of the mouth. The fit is excellent and comfortable, permitting small movements of the jaw (TMJ) and allowing uninhibited oral breathing. Dr. Lance Long is a Colorado native. He attended Green Mountain High School. 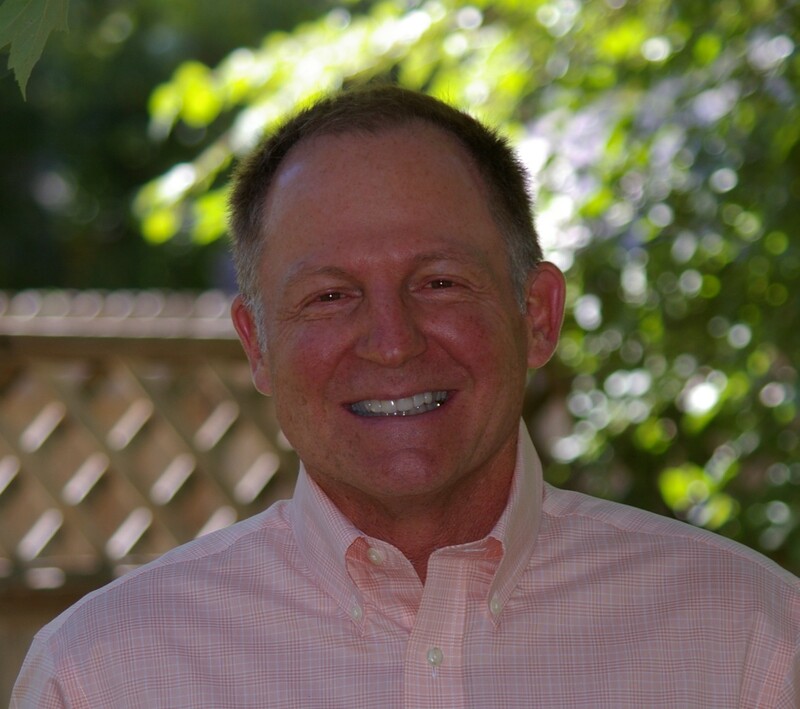 Dr. Long attended dental school at Creighton University and graduated in 1986. After graduation, Dr. Long joined Lakewood Family Dentistry. Dr. Long is a member of the Metropolitan Denver Dental Society, the Colorado Dental Association, and the American Dental Association. He was Chairman of the Metro Denver Dental Society Member Services Committee. Dr. Long enjoys volunteering for "Dentistry for Handicapped" and "Kids in Need of Dentistry" and has provided services to these organizations since 1986. Dr. Long had been an active member of West Chamber Elite chapter of the West Chamber. Dr. Long enjoys golfing, skiing and scuba diving. Dr. Trent Rold is a Colorado native. 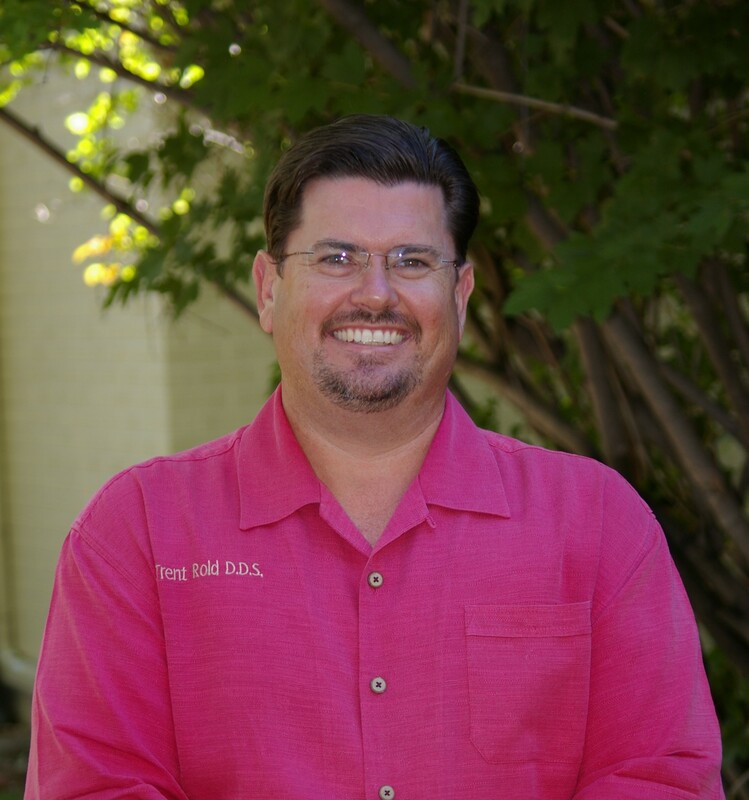 Dr. Rold attended Arvada West High School and attended dental school at the University of Colorado where he graduated in 1994. After a one year AEGD residency at the University of Oklahoma, Dr. Rold joined Lakewood Family Dentistry in 1995. Dr. Rold is a member of the Metropolitan Denver Dental Society, the Colorado Dental Association and the American Dental Association. He is also the recipient of the Academy of Operative Dentistry's Award for Outstanding Achievement in Operative Dentistry, 1994. Dr. Rold had been an active member of West Chamber Elite chapter of the West Chamber. Dr. Rold has three children, Grant, Grace and Morgan. In addition to spending time with his family, he enjoys woodworking. You can contact Dr. Rold at lfdentistry@hotmail.com. Excellent staff and service. Had a dental emergency and they saw me immediately. After a week of antibiotics they pulled the tooth quickly with zero discomfort or pain. Superior high level of service. Excellent staff. They make it fun to go to the dentist. I am now set up on a 6 month program which has been long over due. © 2017. Designed by Rook.